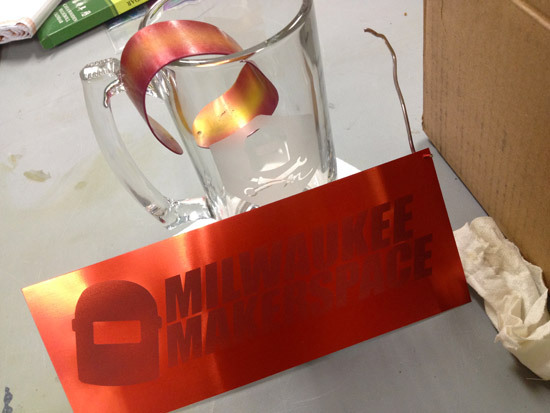 I took an Anodizing Aluminum Workshop at Milwaukee Makerspace last week, taught by “The Master”, Frankie Flood. You can see the lovely(?) bracelets I made. 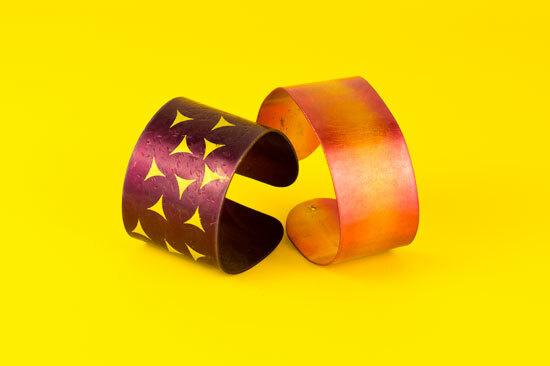 OK, they were my first attempts at ever making bracelets, so I don’t know that I would call them “lovely” but I definitely learned a lot about working with metal and the anodizing and dying process. I took the piece home to seal it, as it would not fit in the sealing bath we had at the space, and I tried to boil it, but… all the red came off! It may been because I used tap water, and/or because I didn’t get the water fully boiling before putting the piece in. There are a few reddish stains, but it’s definitely not red anymore. 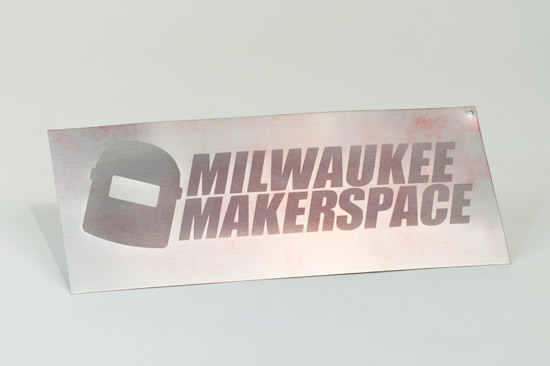 Not a huge deal… While the sign did look great, it’s all a learning process. I’ll just make another one. That’s the beauty of making things. You learn how to do something, and it becomes a repeatable process, with the ability to refine and improve it each time.